AVP Wendy Powers announced the letters of intent (LOIs) for which principal investigators have been invited to submit full proposals to ANR's Competitive Grants Program and High-Risk/High-Reward Grants Program. The list of 51 approved projects can be found at http://ucanr.edu/sites/anrstaff/files/261626.pdf. This year ANR received a total of 108 letters of intent — 97 for the Competitive Grants Program and 11 for the High-Risk/High-Reward Grants Program. Strategic Initiative leaders and their respective panels reviewed all letters of intent thoroughly to address the appropriateness of the proposals in addressing the goals and criteria outlined by each funding opportunity. The purpose of the ANR competitive grants program is to address high-priority issue areas identified by at least one of the strategic initiatives: Endemic and Invasive Pests and Diseases (EIPD), Healthy Families and Communities (HFC), Sustainable Food Systems (SFS), Sustainable Natural Ecosystems (SNE), and Water Quality, Quantity and Security (Water). Given the complexity of societal problems, high-risk research is necessary to achieve gains for real progress in addressing present and emerging challenges. This program will provide funds to initiate and complete research and proof-of-concept efforts that serve as the basis for larger funding opportunities. These projects must be of a high-risk/high-reward nature that are best conducted in a controlled, research setting and, if successful, lend themselves to subsequent larger funding opportunities and/or intellectual property development. Proposed projects must be within the scope of the ANR Strategic Vision. All ANR academics with PI status are eligible to apply. Proposals will be accepted using the same timeline as outlined for the traditional competitive grants program, but reviewed separately due to the nature of the proposal. For questions about ANR's competitive grants program or high-risk/high-reward grants program, please contact Melanie Caruso at mmcaruso@ucanr.edu. The Nutrition Policy Institute has launched a news brief called Research to Action. The publication will provide information on research, policy, news, announcements, events, articles and action items focused on nutrition and healthy communities. The first issue looks at the work of the National Drinking Water Alliance (NDWA). NPI is the “hub” for NDWA, which engages in and coordinates evidence-based efforts going on all over the country to improve tap water safety and access, especially for children, and to provide drinking water education and promotion. The NDWA website is a “go-to” resource for information on drinking water. Future editions of Research to Action will be sent several times per year. Please sign up for the Research to Action mailing list, and please share Research to Action with colleagues who would be interested in receiving it. If 4-H has touched your life, raise your hand. Visit http://4-H.org/raiseyourhand to voice your support for the California 4-H youth development program, help it win a national competition and connect with a network of 4-H alumni and friends. You are considered alumni if you were in a 4-H Club, took part in a 4-H after-school program, served as a volunteer leader or taught a project. Friends of 4-H are also invited to raise their hands. “Having experienced our programs first-hand, our alumni know about the positive impact of 4-H,” said Glenda Humiston, vice president of UC Agriculture and Natural Resources and a 4-H alumna. 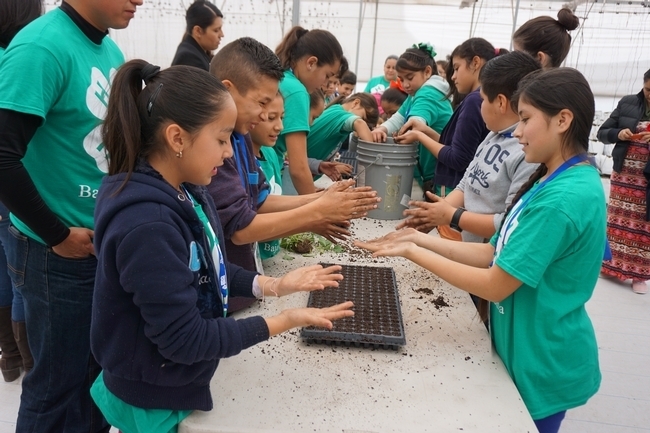 As part of the new 4-H network being built in the 4-H Raise Your Hand campaign, members will get news about 4-H programs in California and stay in touch with a program that made a difference in their lives. “I've raised my hand,” said Humiston, who credits 4-H with helping her become the first in her family to attend college. She later served in the Peace Corps, received a federal appointment from President Obama and now leads the statewide research and outreach arm of UC. The National 4-H program, which currently empowers nearly 6 million youth across the country, aims to extend its reach to 10 million by 2025. It has launched a competition among states to see which ones can add the most alumni and friends to the network by June 30, 2017. A map showing the current front runners is on the registration page. 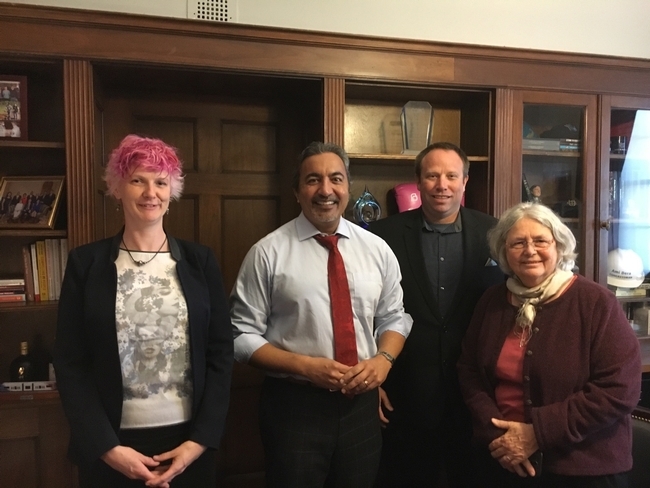 From left, Pia Van Benthem, outreach program coordinator for UC Davis Center for Spatial Technologies and Remote Sensing (CSTARS) and the Department of Land, Air and Water Resources, Congressman Ami Bera, Hogan and Susan Ustin, CSTARS director. In early April, Sean Hogan, academic coordinator II for Informatics and Geographic Information Systems, presented at the AmericaView Winter Business Meeting, in Reston, Va., as representative of the CaliforniaView section of the consortium of remote sensing scientists. Hogan spoke about some of the ways that UC ANR is using drones to advance environmental and agricultural research. While he was near Washington D.C., Hogan went to Capitol Hill to meet with Congressman Ami Bera, Congressman Paul Cook and staffers for Senator Diane Feinstein. 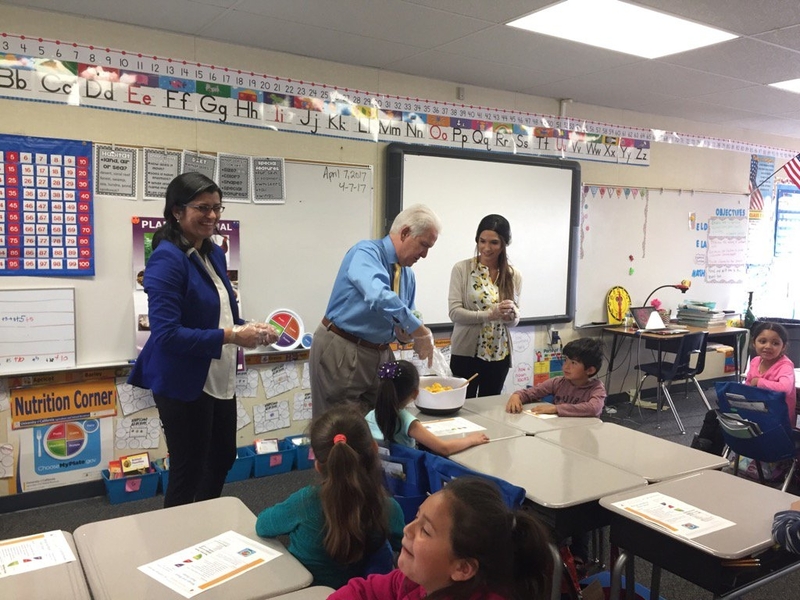 Read more in the IGIS blog http://ucanr.edu/blogs/blogcore/postdetail.cfm?postnum=23768. Congressman Jim Costa blends a salad for students at La Vina Elementary School in Madera County as UCCE nutrition educator Angelica Perez observes. Throughout the federal appropriations process, UC administrators, government relations representatives and academics will be talking with members on both sides of the aisle about the importance of federal research, the incredible return on investment and the power of UC research in driving California and the nation's economy forward. UC will also be talking about the university's research and innovation enterprise on social media and the importance of federal, state and private support. To follow the discussion, check the following social media outlets on Twitter @UofCalifornia, @UC_Newsroom, @UC_net, @ClimateUC, @UCAdvocacy; on Facebook UC Science Today, University of California, UC Advocacy Network; UC on Instagram and the UC Research Tumblr. UC will be using #GrowResearchTogether to help tie together all the research-related social media efforts. If you post about UC research and outreach activities, include the hashtag #GrowResearchTogether in posts so that UC colleagues can track and share. If you will be participating in research-related advocacy and communications in the coming weeks, feel free to use the toolkit to enhance your efforts. These resources are meant to assist your efforts in advocating for robust investments in federal research funding. Gary Falle, UC associate vice president for Federal Government Relations, invites us to tailor and localize these tools for our own ongoing advocacy and communications efforts.